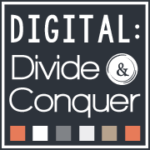 Please enjoy this guest post from Matt of Digital: Divide & Conquer. He’s sharing a lot of really excellent insight into making project-based learning work for all learners. We live in a world of projects. From our homes to schools, we are knee deep. It’s the reality of our lives. If the real world is filled of projects, shouldn’t a student’s classroom world be filled, too? Project-based learning is essential in teaching/working with my students. 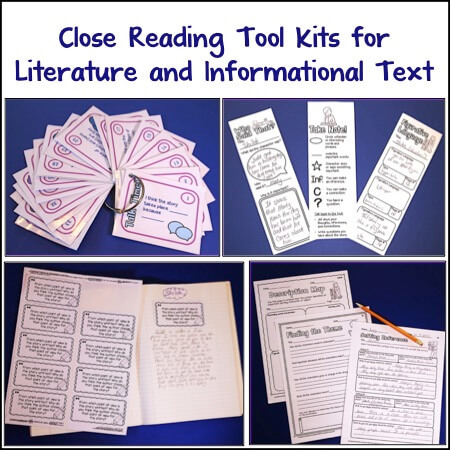 It allows them to showcase their knowledge and understanding of content that’s not based solely on testing scores. PBL works because it can meet the needs of all of our students. That’s a big statement to make, but I believe it. 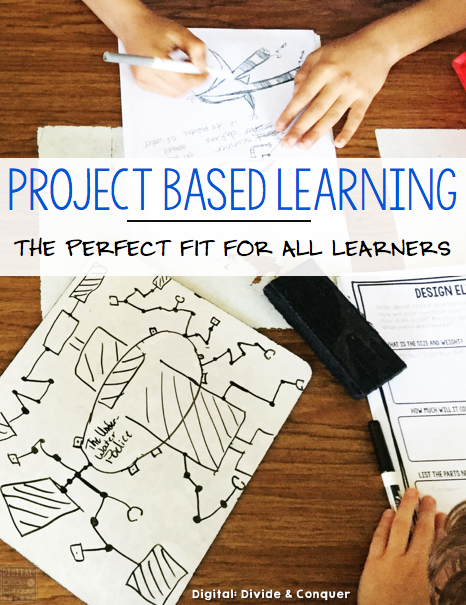 I want to take some time and unpack how I use project-based learning to fit all students’ needs, no matter what their level of learning is. 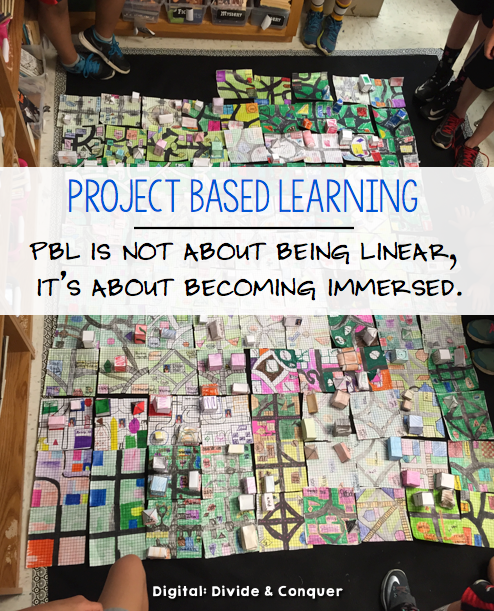 By allowing students to perform outside the traditional learning model (desks nailed to the floor, rote-everything, teacher-to-student-to-notes), PBL helps them make connections to the world in which we all live. When we give students problems, driving questions, and objectives to solve —it’s empowering for the students to solve them how they see fit (and a little scary for us, the teachers). In project-based learning, we have to remember that it isn’t about the memorization–it’s about immersion. We want our students to jump in, as if it’s the ball pit at Chucky Cheese! Are you a little nervous? Have I piqued your interest? Don’t worry, it will be a fun ride, and your students will absolutely amaze you. Here are my keys to make project-based learning fit all learners. Not just for high level learners. Not just for early finishers. Everyone. The beauty of PBL–it’s cross-categorical! As a special education teacher, I’ve seen that many of my students have incredible problem-solving skills because they’ve grown up using strategies to help them have success. Don’t let the common misconception that only gifted students should be doing this creep into your mind. That philosophy seems completely wrong, and we are doing a disservice for our students when that happens. Many of my students have developed incredible problem-solving strategies because they’ve been forced to survive in their educational environments. These kids are the best: They test the limits, they tend to be more creative, and they see more solutions. 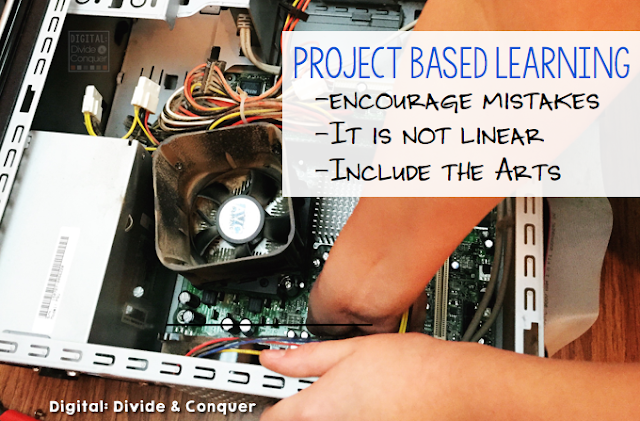 Project-based learning can be messy, different, and difficult. I tell kids that they will struggle and that they’re going to need to break the chain of classical thinking. Letting them know this is important in setting the groundwork for what you expect. At the beginning they are going to question everything and ask for permission to do each little thing. In a way they’re kind of like type-A teachers who need to have every detail and rule mapped out for them (side note: I am not a type-A teacher, which might explain why I like PBL so much). Also, the older the elementary students get, the more questions they ask–almost like their creativity is waning. “Can we do this?” “What about that?” I let them know that any permission-type questions will be answered, “Yes.” I want them to recognize there are unlimited possibilities (as long as it’s within the realm of reality). We have a tendency to take creativity and imagination out of our kids; it’s not on purpose–but it happens. If we’re going to fit all kids’ needs, they need to understand that PBL is a safe place to make mistakes. We already focus on creating communities and developing mindsets, so students already know they’re safe. BUT students still despise making mistakes! They’re afraid to take chances. Mistakes are encouraged. If students are not willing to make mistakes, what’s the point of PBL? It’s comprised of collaborating, communicating, and being a critical thinker. I want my students to take risks and know that sometimes it will work, but a lot of times it will need revisions. 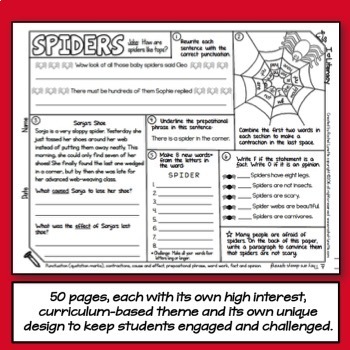 Do this by asking students/groups to present ideas on the fly. 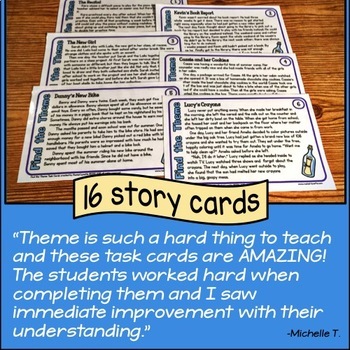 Stop class and ask students to present what they’ve come up with. Ask another group for immediate feedback on it. This forces all students to be part of the conversation. I want my students to take chances. In early PBL activities, I would give them a wide variety of options, such as the classic library research, using the internet, watching videos, and interviewing adults. I lay out options and let the students pick how they *think* they’d like to do it. Kind of like flexible seating, except with flexible learning. I have the asterisks because many times students realize certain ways don’t work for them. You know how I said it could get messy? Well, this is one of those times, because it might take them a while to really figure out what works best. Using your professional judgment (that’s right, we are professionals) is warranted and you might feel free to gently direct students as needed because some students will need it. Know that everyone is going to work at a different pace. That pace will look different for every student and group. We’ll have kids that fly and others that move like turtles, but that is perfectly acceptable. Talk to students about the power of continuing to move forward in their work and research. When students are self-pacing, it means they’re learning at their own speed. There’s not a rush, and they’re allowed to immerse themselves in the work. In fitting the needs of all kids, I consider self-pacing to be of incredible importance. Do students do better when we’re breathing down their necks or when we give them space and time? Also, be prepared for PBL sessions to take longer than you anticipated. If you’re not ready, it can be frustrating. Remember that project-based learning is not linear. Going from A to B to C to D is not always going to happen. Obviously, project-based learning was built for groups. Still, I like to let my students work independently (if they choose). I don’t think that forcing collaboration is always necessary at every single junction of a PBL. There’s always one or two kids that ask if they can do it themselves. I let them know they can, but eventually they’ll be asked to transition into a group with which they need to share and interact. We know our classrooms, and we know our students. Read the classroom and give support when it’s needed. Much like reading groups or stations, I suggest moving around the room and checking in. Support the groups that need help; challenge the groups that don’t. 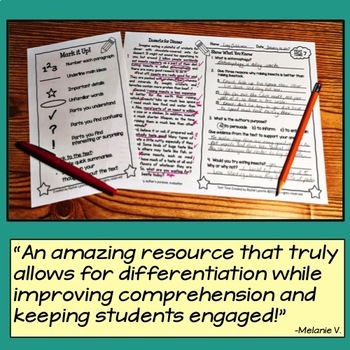 These check-ins aren’t just to make sure they’re on task; use them as an opportunity for students to demonstrate what they’re learning/discussing/researching. I tend to play devil’s advocate and question everything, but I’ll level it to reach all kids based on where they are. Third graders designed and built a gigantic city using geometry. The PBL resource is Geometrocity. We’re teachers, and we want to help, but sometimes the best choice is to stand back and watch. Take a couple of deep breaths and notice the small things your students are doing well. 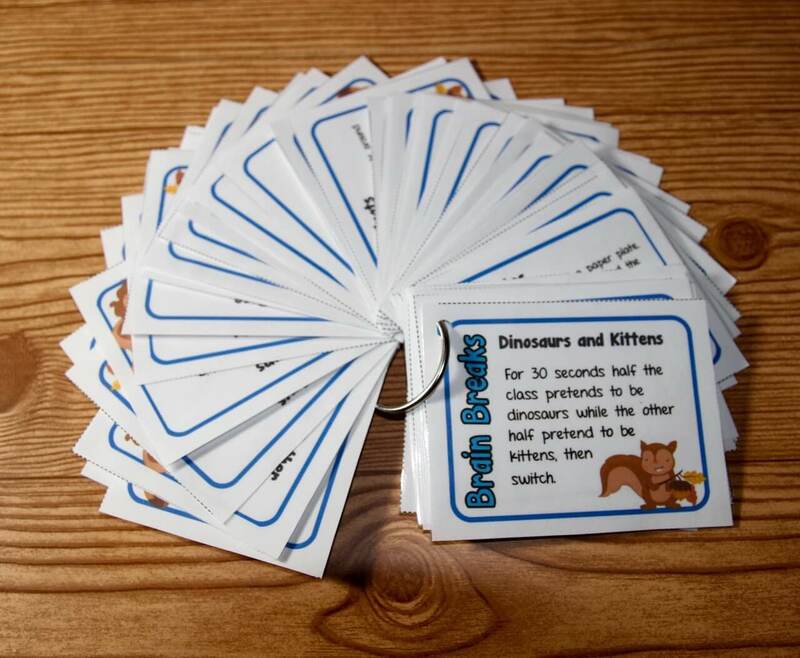 We want them to become independent thinkers and problem solvers. It’s good to sit back and watch them struggle, debate, and become frustrated. I’ll be honest: This is an area I have to work on because it’s one of the most difficult things to do. We need to make sure that we are including the arts (drawing, design, music, paint by numbers–whatever). 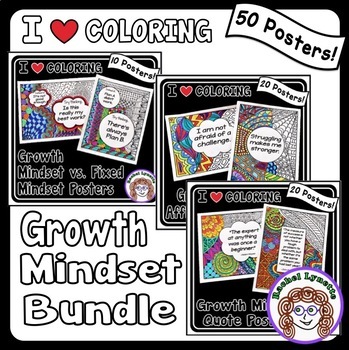 Make absolutely certain your students are incorporating those elements. 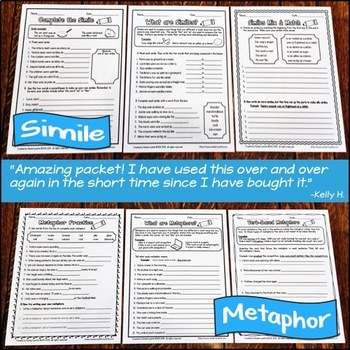 It’s a great solution for meeting their needs and allowing students to show what they know without a 5-paragraph paper. We’re doing a disservice to our students when we leave art out of the classroom. 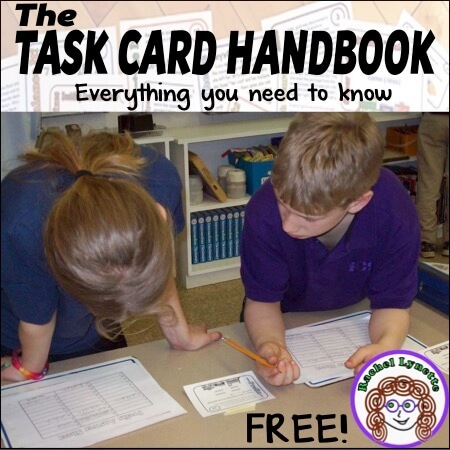 It is an absolutely critical component to project-based learning. You’ll notice I haven’t spent a ton of time focusing on how to specifically teach project-based learning, which was done by design. With all teaching endeavors, turning your classroom into a project-based learning adventure land is personal. These ideas aren’t absolutes, but they work for me. My teaching beliefs are constantly evolving, just as students’ needs are. So, what kind of classroom-world are we building for our students? 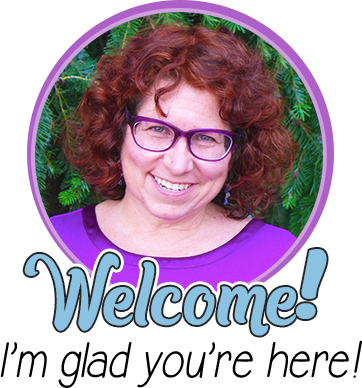 You can read more of my thoughts on project-based learning, such as my top ten tips to get get started, picking topics you like, and why PBL works for my learners at lower levels. 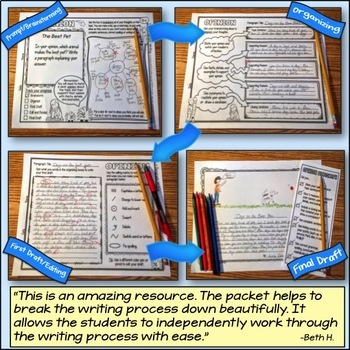 I create a wide variety of cross-curricular PBL resources that encourage student creativity, imagination, and problem solving skills. Matt Sutton is an elementary special education teacher who has taught for 12 years. He encourages students to have a healthy dose of creativity, imagination, and curiosity in the classroom. Read more from him at his blog, Digital: Divide & Conquer, follow him on Facebook, or see his resources on TPT. He is deathly afraid of frogs. I was looking for your task card bundle and I receive a note saying they cannot be located. I love your teaching materials. 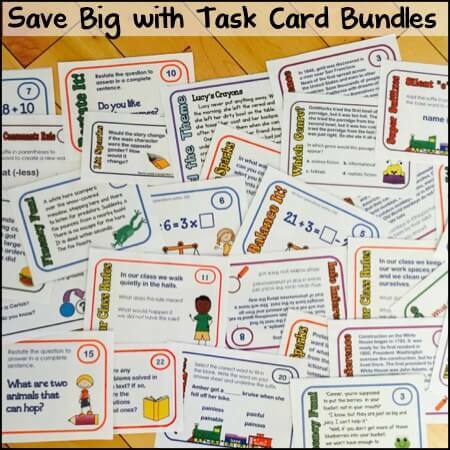 Are those task cards being recreated or are they not longer available?